It's CLEANING TIME! And what better way to save money that to make your own DIY Household Cleaners. 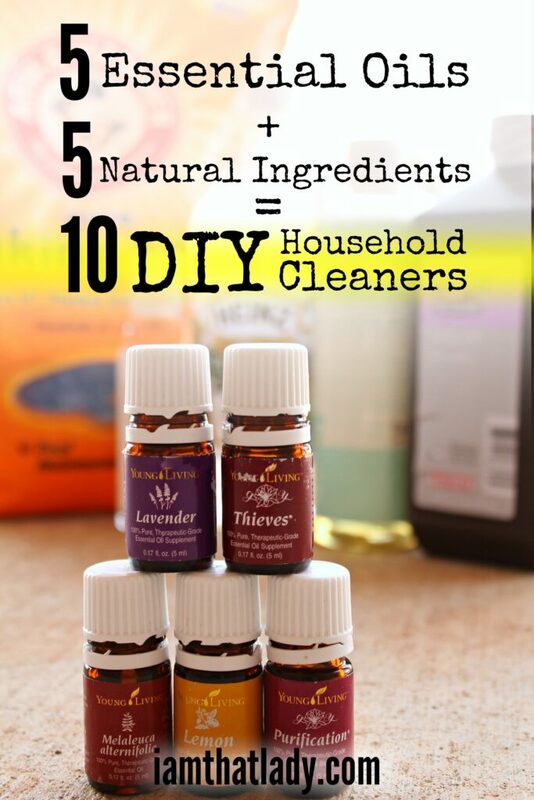 This creative combination of supplies is an awesome way of using 5 essential oils and 5 natural ingredients to make 10 DIY household cleaners. It's so simple to get started with these recipes. If you've ever thought about cleaning your home with natural ingredients and making your own DIY Household Recipes, these recipes are a simple place to start since they use so few supplies (most of which you probably already have in your home). Clean your laundry, carpets, bathroom tile and so much more with these tips. Add the essential oils to the soap and use in HE soap dispenser according to your owner's manual. Pour the vinegar in during the rinse cycle. This combination washes away dirt and germs that cause odors. The vinegar softens your clothes and doesn't leave any smell behind like you'd think. Trust me! Stir all ingredients together in a glass bowl. Apply to stain and allow to set for a few hours. I let my treated clothes sit in the direct sun for 30 minutes. This boosts the whitening power. Wash as normal. 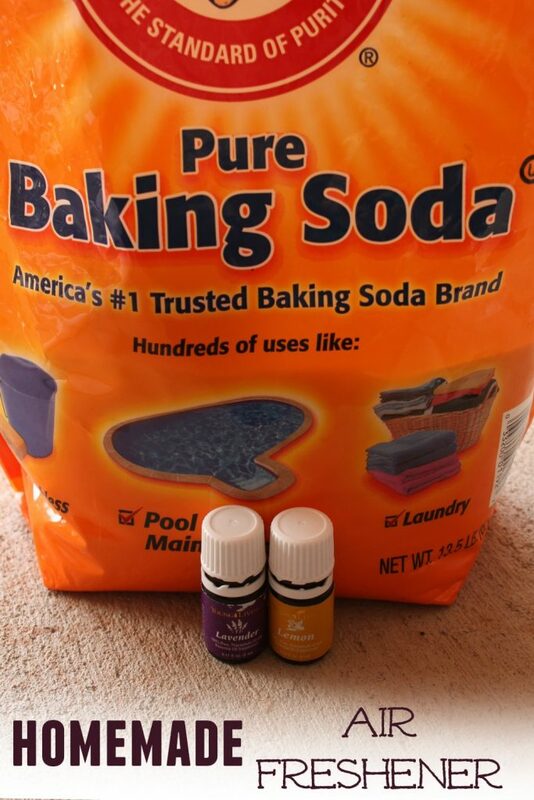 Wash your whites with this mixture and your clothes will be naturally brighter and whiter. Don't worry about any weirdness when using this with the detergent recipe. 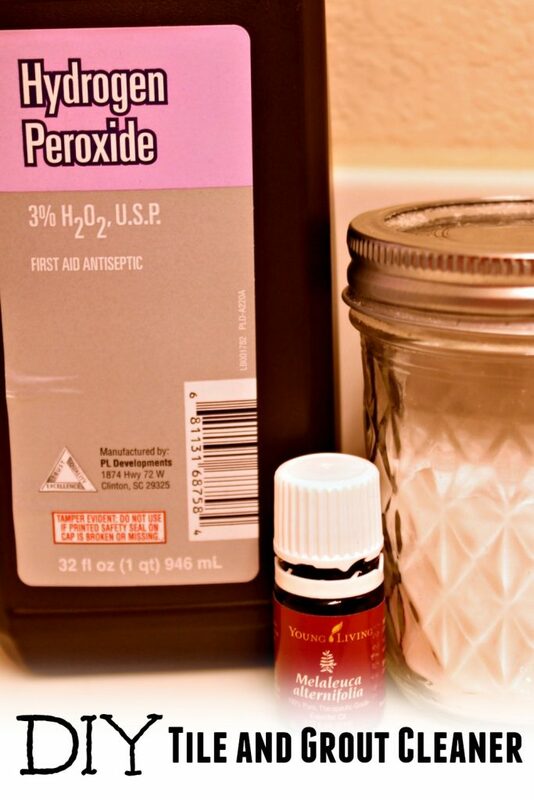 You can use them together safely because the peroxide will be rinsed out before the vinegar is added. 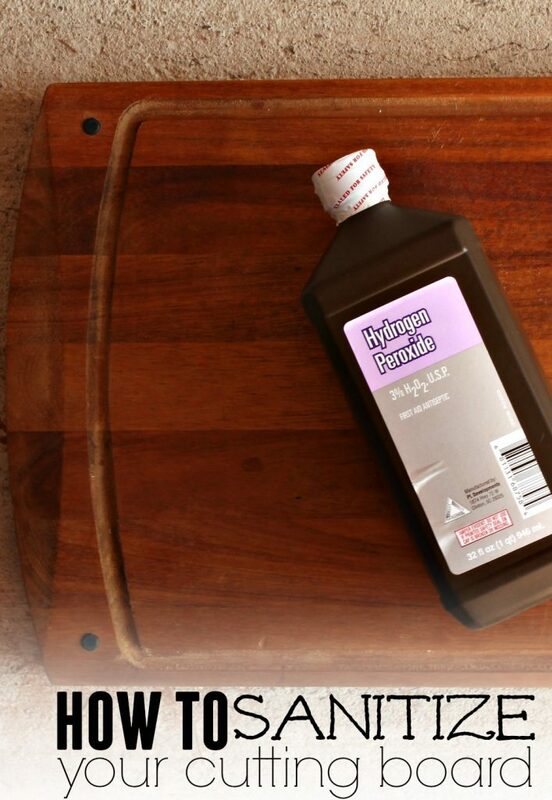 Clean the cutting board as normal and then pour peroxide over the entire surface. 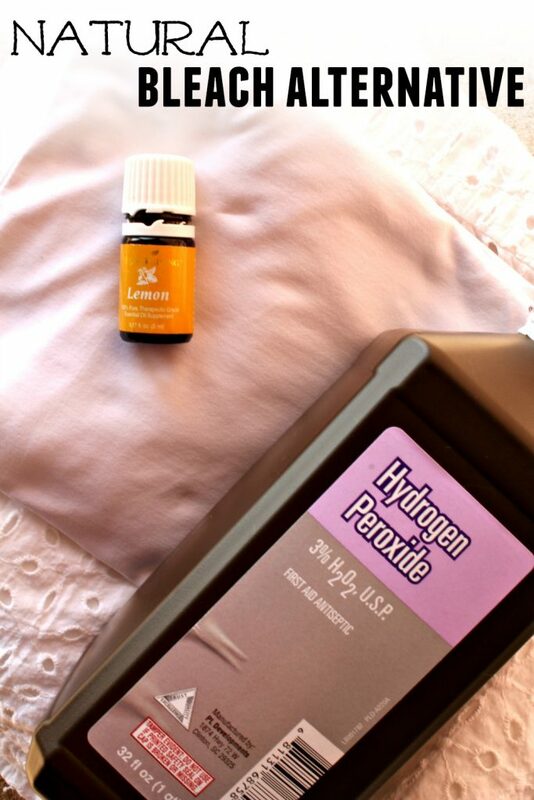 Allow the peroxide to sit on the cutting board and bubble for a few minutes. It’s killing germs! Wipe off the peroxide with a clean sponge. 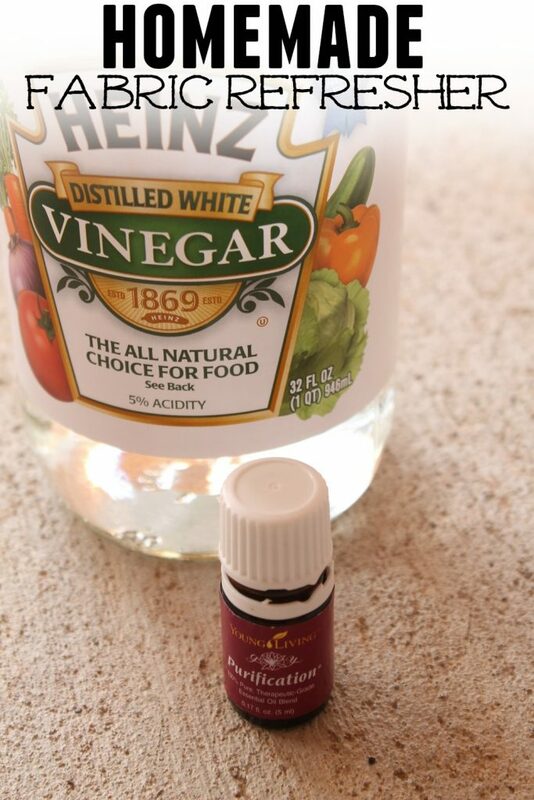 If you’re also fighting with odors on your cutting board, spray it down with white vinegar. 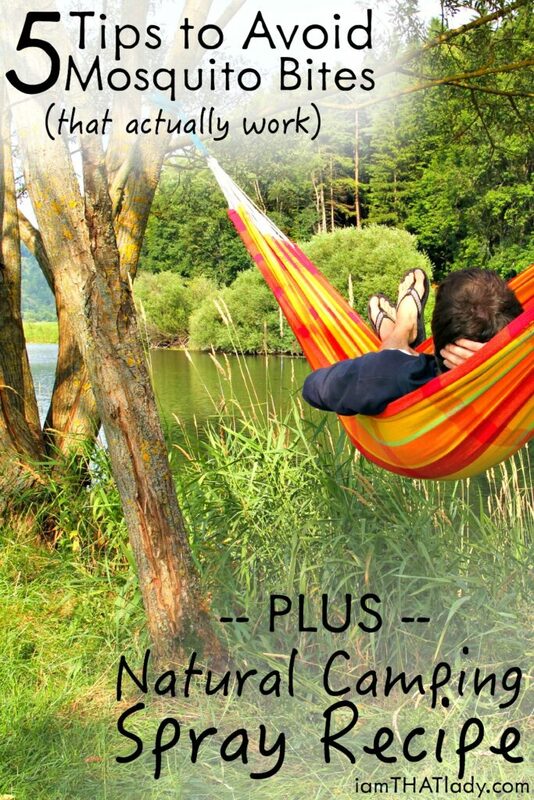 This will naturally neutralize all the odors. No need to rinse. Just let it dry thoroughly before storing. Purification is a blend of Citronella (Cymbopogon nardus), lemongrass (Cymbopogon flexuosus), rosemary (Rosmarinus officinalis), Melaleuca (Melaleuca alternifolia) lavandin (Lavandula x hybrida), and myrtle (Myrtus communis) essential oils. It's amazing for clearing out odors and leaving a fresh, clean scent. This works because the oil kills odor causing bacteria. Combine all the ingredients in a spray bottle (make sure it's glass if you're using a citrus oil like lemon). If you use lemon or other citrus oils make sure to use a glass bottle. Mix a bottle for each bathroom. Keep one in the kitchen for getting rid of strong food odors like onion or fish. The baking soda neutralizes odors in the air. This allows the essential oil to brighten the room and create the atmosphere that is enjoyable and inviting. Place the oil in the spray bottle and then fill with water. 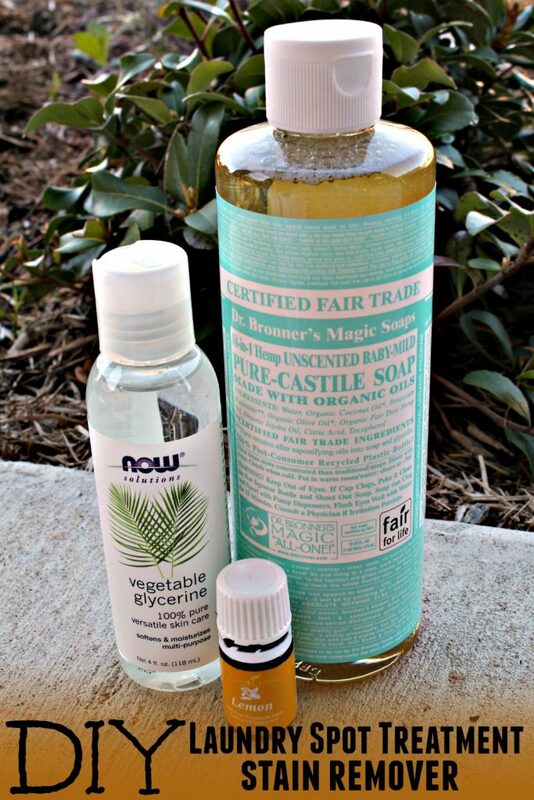 Add the castile soap last so it doesn’t create too many bubbles as you fill up the bottle. 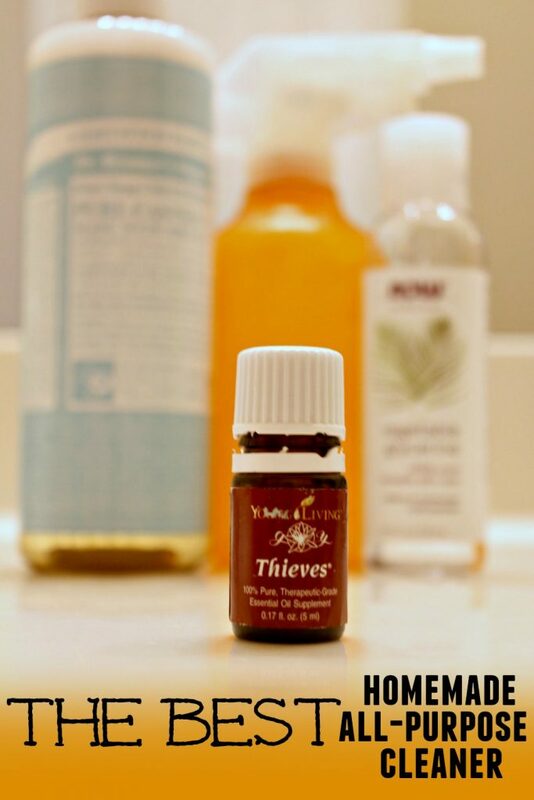 Thieves Essential Oil has antimicrobial, antifungal, antiseptic, and antiviral properties. 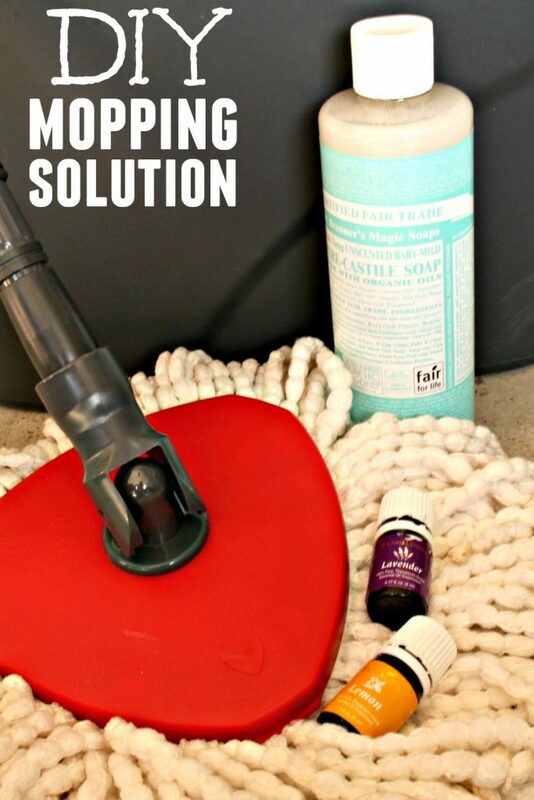 You'll have no doubt that your house is clean after using this DIY all-purpose spray cleaner. This can be used without rinsing on most household surfaces. If you find that it leaves a residue, you can make this recipe without the soap and all the antibacterial properties will still be present. Mix all the ingredients in your mop bucket and clean as usual. No rinsing required. I really like the clean smell that lemon brings to this mixture. And lavender is just so calming and peaceful that it completely changes the atmosphere in my home when I use it. 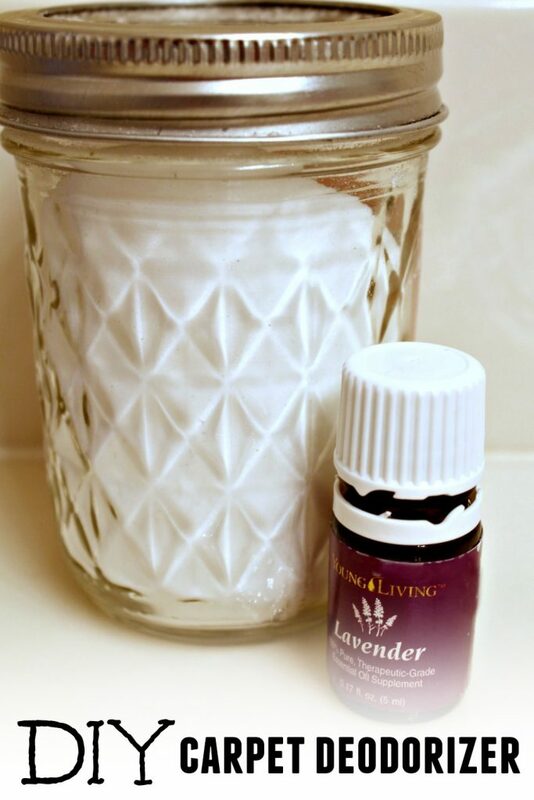 Combine the essential oil with the baking soda in a mason jar. Tightly screw down the lid and shake to combine. Sprinkle liberally over carpet and let sit for 15 minutes before vacuuming. Purification would be great to use in pet areas or any carpet that has a lot of traffic or smells. It will deodorize the carpet by killing the odor causing bacteria and neutralizing unpleasant smells. Lavender is a good essential oil for carpets too, because it creates a calm and relaxing environment without being overpowering. The lavender oil will help relieve stress and calm anxieties and tensions with it’s pleasant aroma. The peroxide and baking soda will work together to clean out all the grime and gunk from your tile and grout. Melaleuca alternifola essential oil is antibacterial, antimicrobial, antiseptic, antiviral, and fungicidal. This will deep clean and get rid of unseen fungus and mildew causing germs. 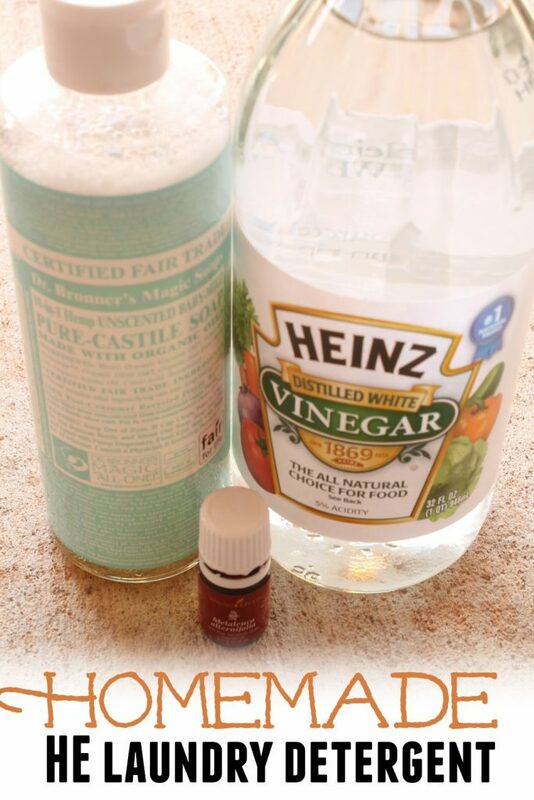 By using these DIY cleaners you'll cut your grocery budget and reduce the chemicals in your cleaning routine. These household cleaners are a great way to save money and save time with fewer trips to the store. 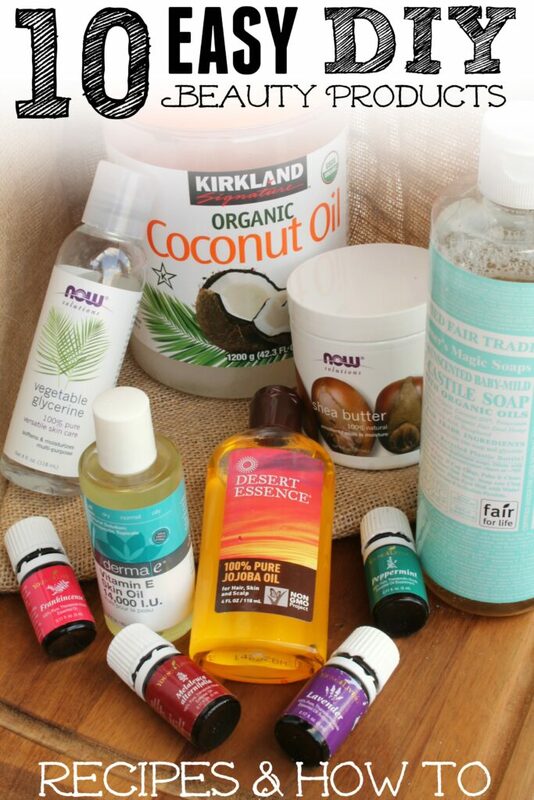 DIY natural cleaners can replace all those harsh chemicals that fill your cupboards and laundry shelves. 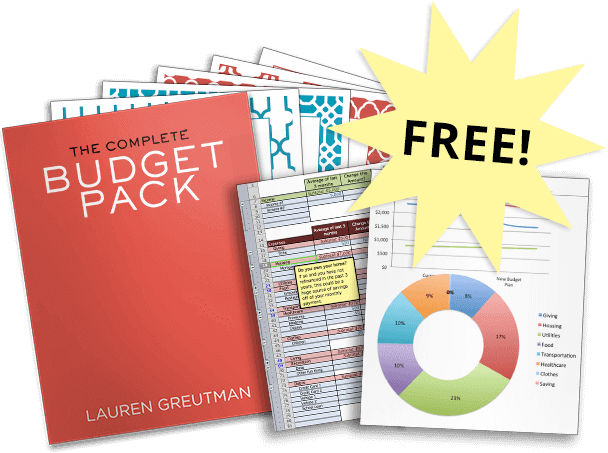 These tips will save your family more than time and money. 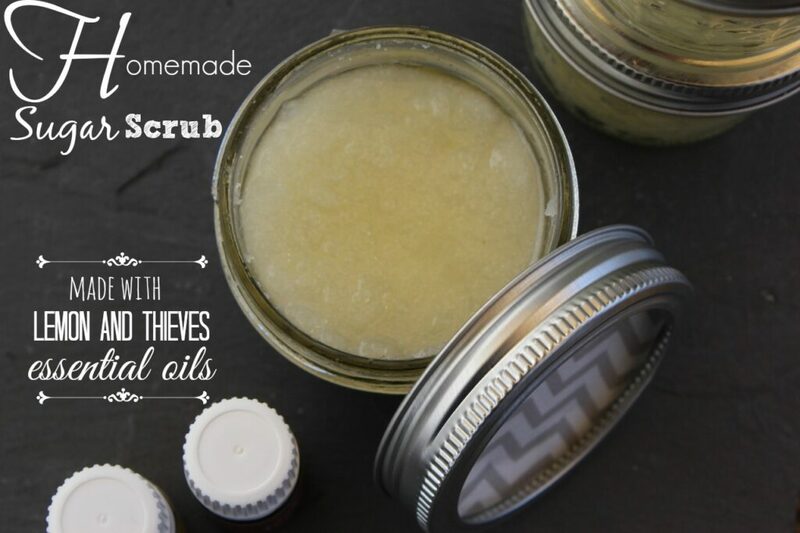 Replacing the harsh chemicals and making my own DIY household cleaners is one of my favorite things about using essential oils.